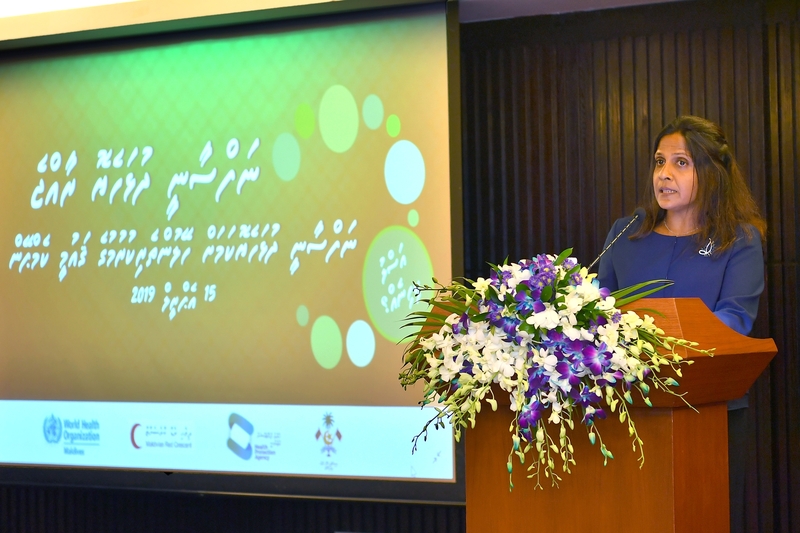 Her Excellency, Fazna Ahmed, The First Lady of the Maldives, has inaugurated the government’s ‘Mental Wellness’ campaign at a ceremony held at Hotel Jen this morning. The ‘Mental Wellness’ campaign is intended to be a year-long campaign to improve the overall mental health of the population whilst increasing general awareness on the issue. Addressing the audience as chief guest, The First Lady delivered a few remarks highlighting the difficulties that individuals suffering from mental health issues endure. These can manifest in persistent feelings of sadness, a sense of isolation, withdrawal from friends and family, and a general lack of enthusiasm affecting individuals in their personal and professional lives. It has been a stated priority of this government to not only bring more attention to mental health issues but also to implement practical measures to ease the burden on those who continue to suffer from such ailments. As the First Lady expressed in her speech it is long overdue that we have a national conversation about this important topic, especially in light of how common mental health issues are – with 25% of the world population (and a corresponding percentage of the Maldives’ local population) estimated to be in need of treatment for various mental health related conditions. She further noted that up until now the resources and facilities available to those who suffer from physical ailments are of a far greater quantity and quality than that available to those suffering from mental health issues. It is the sincere intent of this government to resolve this and to provide those who are in need of treatment with all the support that they need in order to get better. 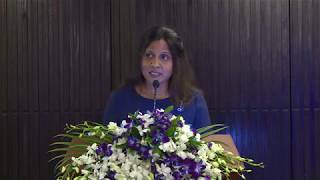 This is why the government had previously inaugurated the Maldives’ National Mental Health Institute and expanded Aasandha coverage to include treatments and medicine for mental health. The ‘Mental Wellness’ campaign will build and expand on these efforts, and the government will strive to ensure no mental health condition goes undiagnosed and that they never become an impediment to our citizens being able to live happy and successful lives.